What Is Vitamin C And Why Does Your Body Need It? I include Vitamin C in a Vitamin C IV with Minerals because Vitamin C is not just a vitamin; it is also an antioxidant and it is absolutely vital to your body’s physiology. Firstly, Vitamin C is required by your body for strength and repair of your bones, tendons, ligaments and even veins. Your white blood cells use Vitamin C to fight infection. And Vitamin C also protects fat, protein, carbs, cells from free radical damage. All of this can work with moderate intake of Vitamin C. But Vitamin C can be even more beneficial in high dosages, possible only through an IV. In high dosages, a Vitamin C IV drip can lengthen your longevity. It truly is a youth serum in a number of different ways; A Vitamin C IV will neutralize free radicals as well as kill viruses—including swine flu, avian flu and diseases like encephalitis, measles, hepatitis, mono, or chronic viruses and acute flu complications; a Vitamin C IV will strengthen your immune system, reducing your risk for cataracts, Alzheimer’s disease, dementia, and heart disease. It increases collagen production, thus making your skin look tighter and younger. A Vitamin C IV even makes you feel younger—decreasing fatigue and weakness. The benefits are even more powerful when you take a Vitamin C IV with Minerals which is also included in the IV drip. Why Is The Vitamin C IV With Minerals Better Than Diet Or Supplements? One reason why supplements or diet cannot benefit you the same way a Vitamin C IV with Minerals can is because ingesting vitamins and minerals through the digestive system only allows so much of the nutrients to enter the bloodstream. While your body will absorb more of the vitamins if taken in its natural form, through food, there is no way you can eat that much food to contain the amount of vitamins you’d get in a single Vitamin C IV with Minerals. The Vitamin C IV with Minerals bypasses your digestive system and allows a significantly higher amount of these nutrients to enter straight into your bloodstream, which takes them right to your thirsty cells. While a Vitamin C IV with Minerals is should not replace a healthy digestive intake, it is more effective in giving you the boost you need to destroy disease. What Minerals Come In The Vitamin C IV With Minerals And What Are Their Benefits? In the Vitamin C IV with Minerals I administer, I like to add magnesium, calcium, selenium, zinc, and trace minerals like Molybdenum, Manganese, Boron, Vandium, and Chrominum. These minerals are a perfect element to the Vitamin C IV with Minerals for the following reasons: Magnesium and Calcium work well as a team. They both are vital minerals necessary for healthy bones, teeth, muscle and nerve tissue and are necessary for immune system function. Calcium also prevents hypertension, obesity and even cancer. Magnesium will aid in preventing issues often associated with them, such as diabetes and heart disease. Zinc is important because it does not get stored in your body. You need to replenish zinc everyday. Zinc helps Calcium and Magnesium by assisting in immune system function, but also helps your body’s cellular function, and synthesizing DNA and protein. Selenium works well with the Vitamin C IV with Minerals because it too is an antioxidant that protects cells from free-radical damage and the body’s odds of certain cancers, although does not help skin cancer. The trace minerals I add to the Vitamin C IV with Minerals are excellent minerals with antioxidant, detoxification, and anti-inflammatory properties as well as helps prevent cancer, build bone health, reduce acne, relieve arthritis, as well as regulate and control blood sugar levels, body weight, hormones and neurotransmitters. All together, The Vitamin C IV with Minerals is an amazing nutrient blend that will increase your vitality and health on multiple levels. For those chronic fatigue, chronic infection e.g. 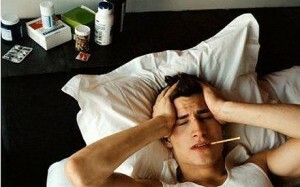 viral infections, it is a must. So if you are interested in a long, healthy life, are prone to certain chronic conditions or perhaps have a compromised immune system, contact or come visit me for a consultation. Let me show you how the Vitamin C IV with Minerals can change your life.